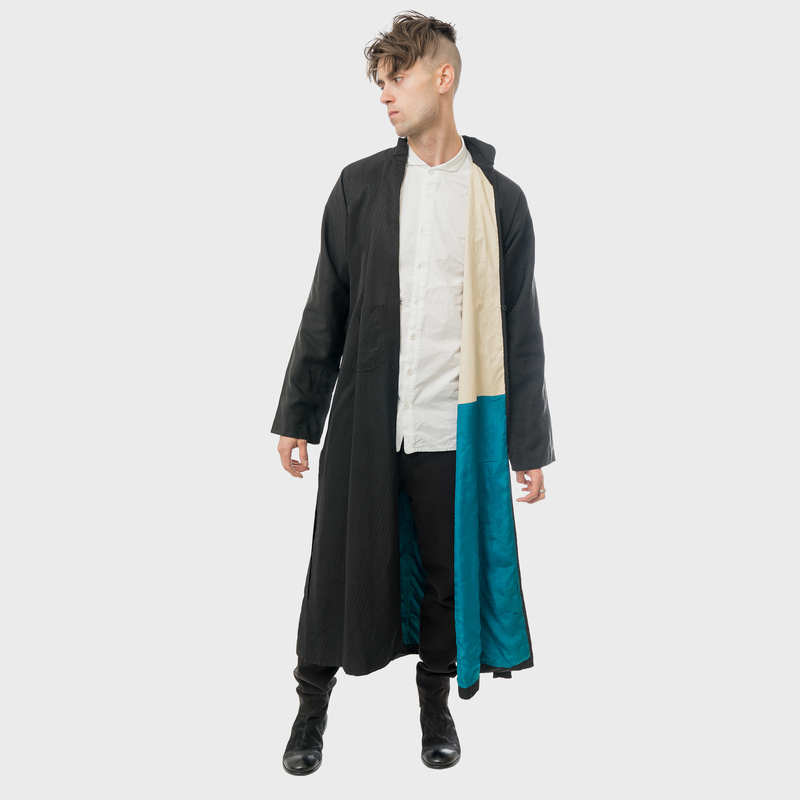 This handsome men’s long coat is made of black silk embroidered with small geometric shapes. Fastened with a hook-and-eye closure, the garment opens to a linen and turquoise silk lining. 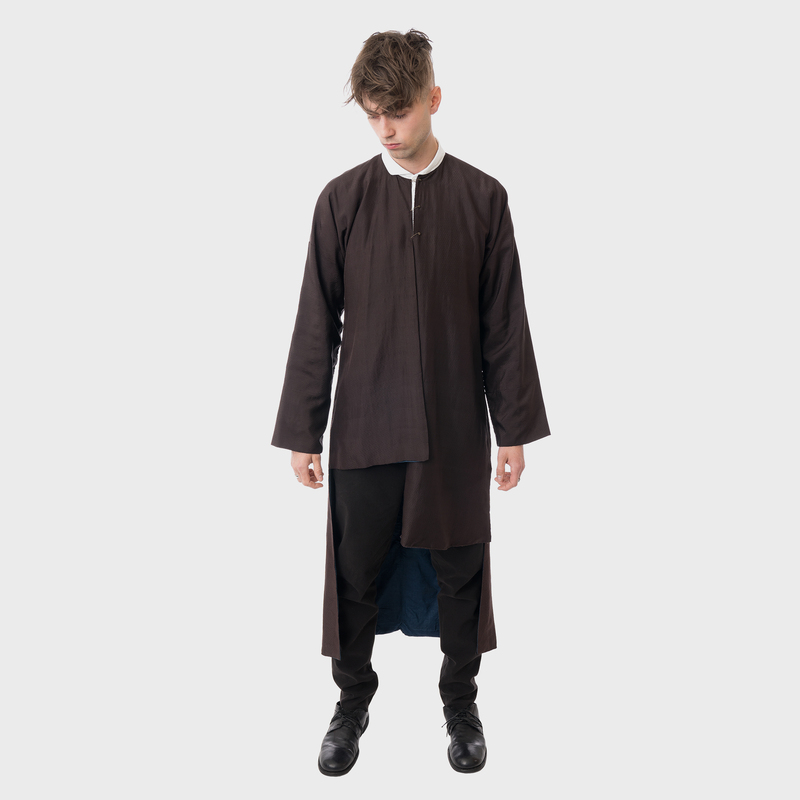 The coat's back view sports a subtle spine of antique 1940s French satin moiré ribbon.